Chronic lymphocytic leukemia (CLL) is among the most frequent leukemias affecting adults in Western countries. It usually occurs in older patients, does not cause any symptoms for a long time and is often only discovered by accident. Despite treatment, relapses frequently occur. Now, researchers have discovered why this is so. In a mouse model they developed, the researchers demonstrated that crosstalk between the cancer cells and a group of stromal cells in the spleen is crucial for cancer growth. At the same time they were able to block the entry of cancer cells into the spleen as well as their proliferation and thus identified new targets for future therapies in humans. The findings were published in Cancer Discovery. A high number of malignantly mutated B lymphocytes is characteristic for CLL. B cells are normally an important component of the immune system. They produce antibodies with which the body combats pathogens (foreign antigens) and pathogenically modified structures. They acquire their final functionality in the germinal centers of lymphoid organs such as the spleen. For this purpose, the healthy B cells migrate into the B-cell zone (B-cell follicle) of the spleen and lodge there in the stromal cell niche. There they interact with follicular dendritic cells (FDC). Unlike the similarly named classical dendritic cells, the FDC are not blood cells but rather stromal cells that form a network in the center of the B cell follicle. This stromal cell network lures B cells into it and exposes them to foreign antigens, which the B cells recognize and require for their activation and maturation. Only then are they fit for their task as antibody-producing immune cells. The B cells enter the "training center" of the lymphoid organs via the messenger molecules of the immune system, the chemokines. They guide the B lymphocytes, which have a receptor on their surface for these chemokines. Leukemia cells, as malignant immune cells, also have these homing receptors on their cell surface to which these chemokines bind, thus enabling them to establish themselves in the stromal cell niche. In their research project, the researchers started from the hypothesis that the processes which normally regulate the migration of B lymphocytes into the B-cell follicle are also the reason for the migration of leukemia cells into the lymphoid organs. Hence, within the B-cell follicle the survival and growth of malignant B cells may depend on the contact of the leukemia cells with the FDC. In CLL, despite chemotherapy or radiotherapy, a relapse with renewed leukemic proliferation in lymphoid tissues can occur because the FDC usually survive chemotherapy or radiotherapy far better than the leukemia cells. If a few leukemia cells escape the therapy - physicians call this minimal residual disease - the FDC ensure that the leukemia cells within the B-cell follicles have optimal growth conditions and proliferate. The researchers have now elucidated this process in detail in a mouse model, which is similar to human CLL. As the researchers showed, the chemokine CXCL13 and its receptor CXCR5 on the surface of the leukemia cells are absolutely essential to ensure that the leukemia cells can reach the spleen. With the aid of this homing receptor, the cancer cells are lured into the B-cell follicle of the spleen, where the FDC secrete the chemokine CXCL13. But unlike healthy B cells, the leukemia cells migrate directly across the marginal zone without taking a detour via the T-cell zone into the stimulating stromal cell niche of the B-cell follicle. When the researchers blocked the chemokine receptor CXCR5 in the mice, the leukemia cells could no longer migrate into the stromal cell niche and proliferated much more slowly. In a second step, the researchers studied the consequences of the interaction between the malignant B cells and the FDC in the B-cell follicle. The result was that the close contact between the leukemia cells and the FDC network stimulates the cancer cells to increasingly produce another signaling substance, lymphotoxin. The lymphotoxin of the leukemia cells binds to the lymphotoxin-beta receptor on the FDC, which then increasingly secrete the chemokine CXCL13. This creates a positive feedback loop because the chemokine CXCL13 plays a major role in the recruitment of leukemia cells in the B cell follicles. The FDC also provide growth factors that promote the proliferation of leukemia cells in the stromal niche. When the researchers inhibited the binding of the lymphotoxin to the lymphotoxin-beta receptor on the FDC with an immunologically active substance, they were able to end this ping-pong match between leukemia cells and the FDC and dramatically reduce tumor growth. 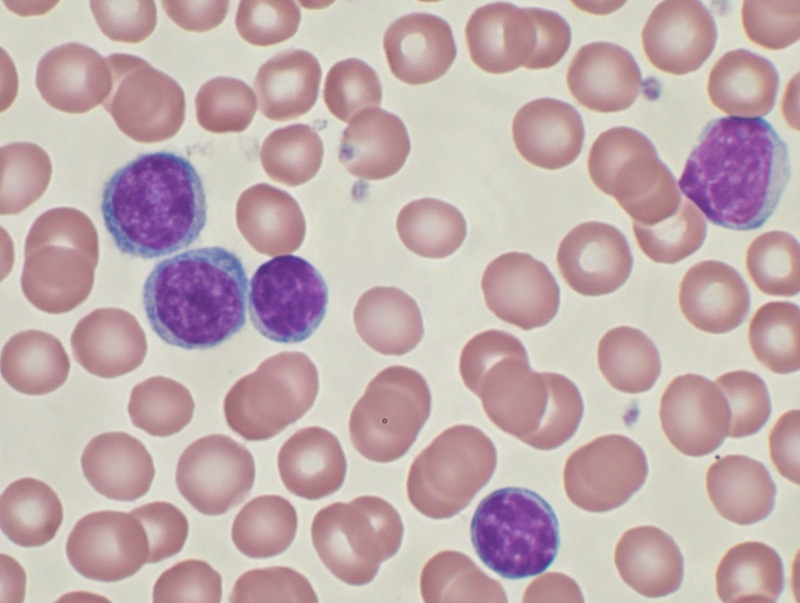 The researchers thus identified two different targets that may complement the chemotherapy currently used to treat CLL. The first is the blockade of the chemokine/homing receptor CXCR5 on the leukemia cells, which prevents the cancer cells from lodging in the B-cell follicle. Second, via the blockade of the lymphotoxin-beta receptor on the FDC, the reciprocal crosstalk between the leukemia cells and the FDC promoting tumor proliferation is interrupted and thus the tumor development is likewise significantly reduced. From the results of their study, the researchers infer that chemotherapies already in clinical use combined with immune therapies that interrupt the crosstalk between leukemia cells and the FDC may be beneficial. This combination could prevent the residual leukemia cells that have escaped a chemotherapy or radiation therapy from recovering in the stromal cell niche and from triggering a relapse.